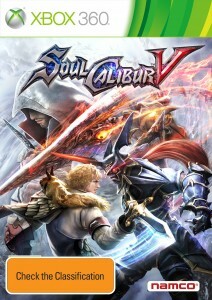 Namco Bandai have revealed the finalised boxarts for the upcoming weapon-based fighter today, Soulcalibur V for the Xbox 360 and PlayStation 3. The packshots make no secret of the the new playable guest character, Auditore da Firenze from Ubisoft’s hit Assassin’s Creed franchise making solid a appearance in the artwork. Ezio is also joined by fan favourite Nightmare and new character Patroklos Alexandra, son of series veteran Sophitia Alexandria locked in combat. The game is yet to be classified in Australia, but has been given a PEGI: 16 rating in Europe so it is expected to be passed down under. 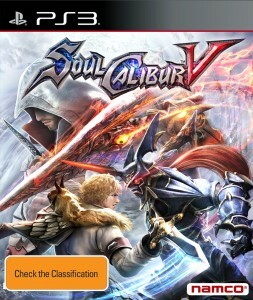 Soulcalibur V has been given a January 31 release date in North America and a February 3 release date in Europe.